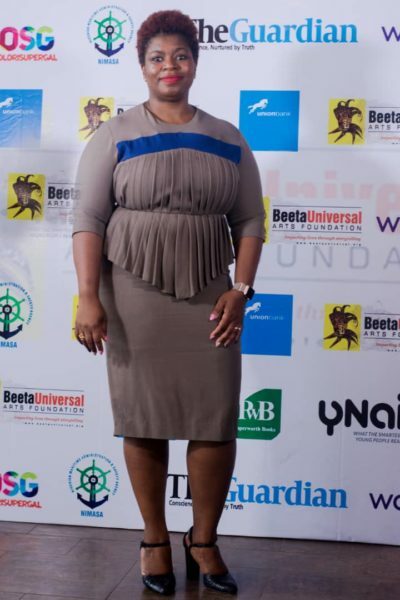 Beeta Universal Arts Foundation (BUAF) had the grand finale for its second Beeta Playwright Competition (BPC), led by award-winning actress Bikiya Graham-Douglas who is popularly known for her portrayal of Hadiza Bako in the hit TV series Battleground. 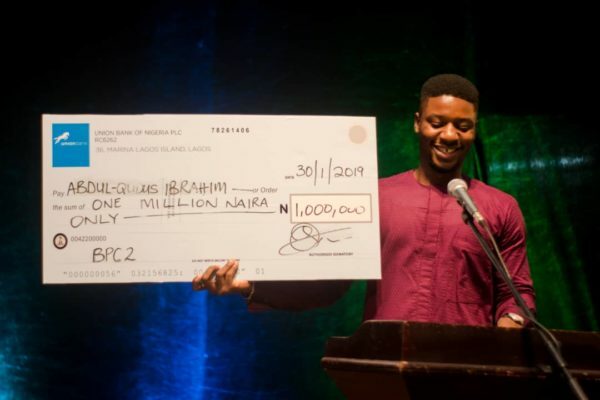 The competition had such jury members such as veteran actress Ego Boyo, publisher Ibiso Graham-Douglas, led by award-winning playwright and jury chairman, Professor Ahmed Yerima. 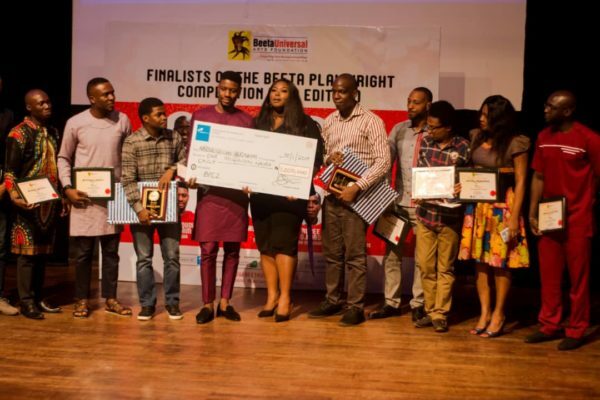 The shortlist included Rukee Ejigbo (Mr Macaroni), Shehu Zock-Sock ( Tick Tock More Talk), Elias Ozikpu ( Queen Akwadze), Kelvinmary Ndukwe (Transparent), El Osas Iyalekhue (Sharky Boy), Ekpeno Ukut ( Room 7), Kehinde Ademoye (A Love Like This), Adenike Olokunbola (Echoes of the drum), and Joshua Alabi (Beyond the Wig). 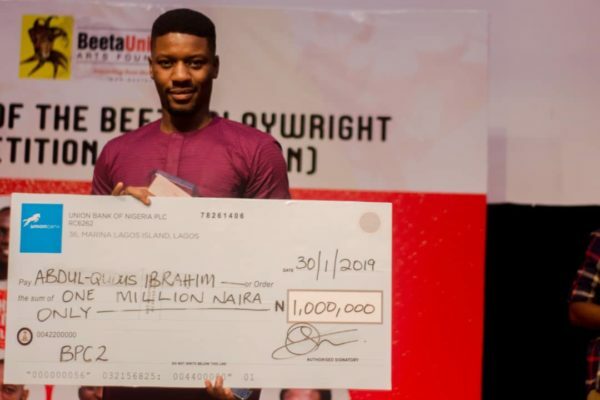 Abdul-Qudus Ibrahim’s Play JAGAGBA emerged the winner out of 348 entries that were submitted from 30 states across Nigeria winning N1 million, a publishing deal and a production of the Play. 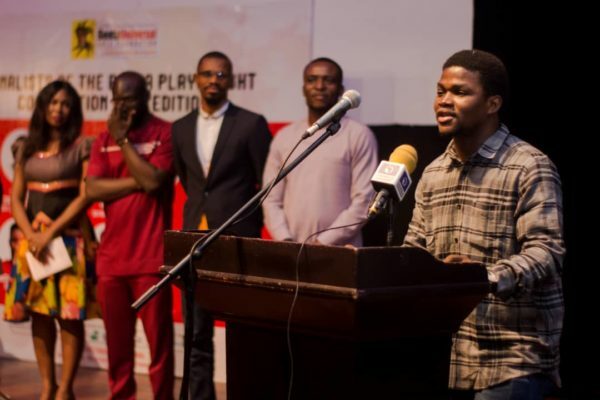 All the contestants expressed excitement at coming thus far in the contest and the opportunity it gave them to express themselves. 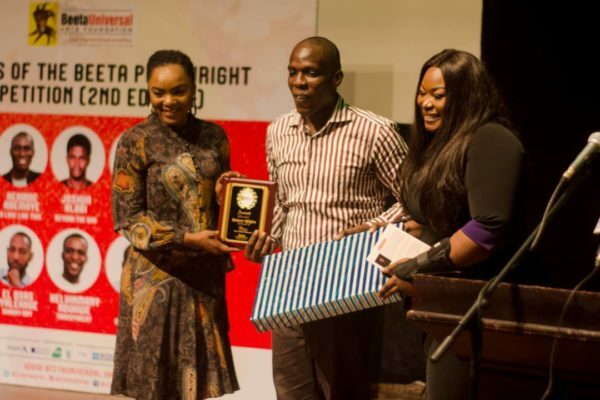 BUAF also gave recognition awards to institutions for supporting the arts and culture sector. 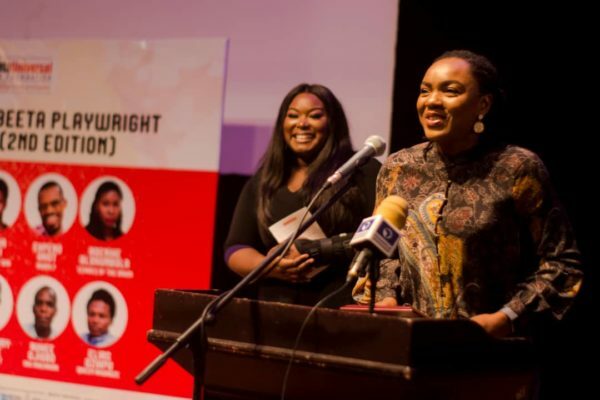 Theo Lawson of Freedom Park, Union Bank, and Lagos State Government, British Council and MTN Foundation were recognized for supporting the sector. 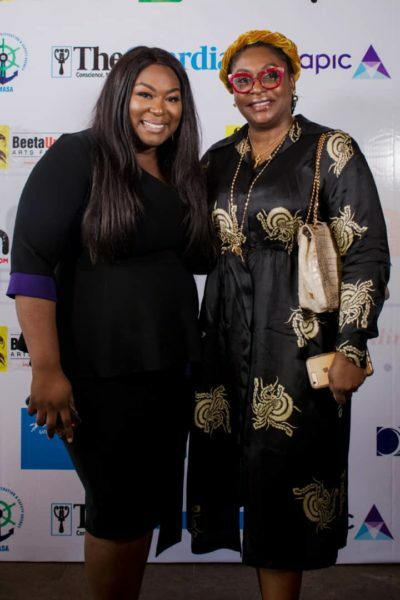 This event was sponsored by Union Bank and supported by WAPIC Insurance, Oyewole & Olajide LLP, and NIMASA with media support from YNaija and The Gaurdian. 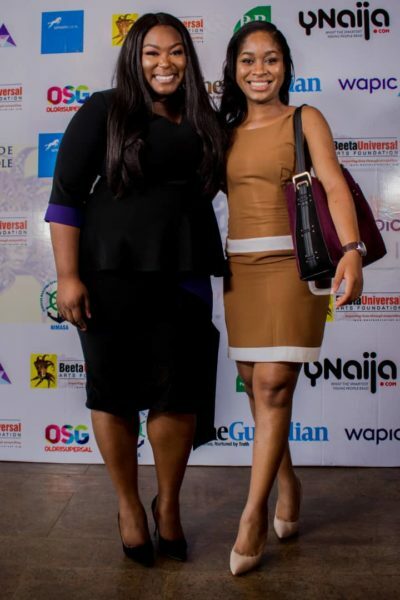 Actresses Chioma Akpotha and Bikiya Graham-Douglas presenting award to 2nd runner up. 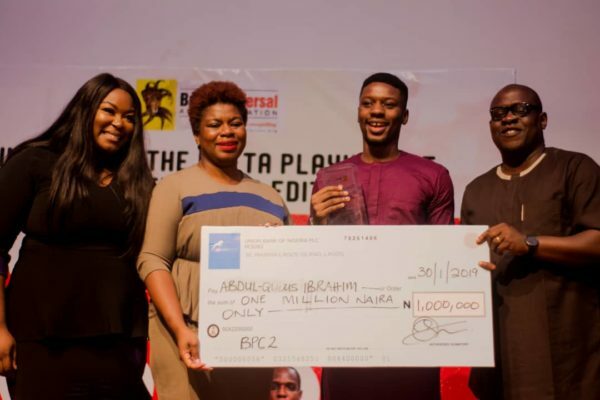 The post Abdul-Qudus Ibrahim’s Play JAGAGBA emerges Winner in the Beeta Playwright Competition (BPC) appeared first on BellaNaija – Nigeria breaking & top news to the World 24/7. Read Today.